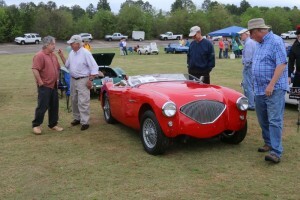 Video and photos are in from our sponsorship of the Carolina Classics X car show at the historic Columbia Speedway earlier last month on April 2nd. 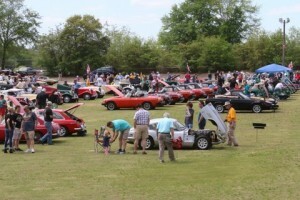 The show is put on by the British Car Club Midlands Centre and featured more than 125 vehicles. 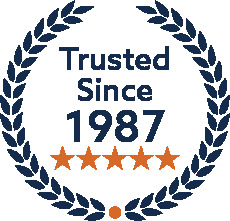 TopsOnline carries replacement convertible tops and convertible top accessories, boot covers, and tonneau covers for most models of British cars, both classic and modern. 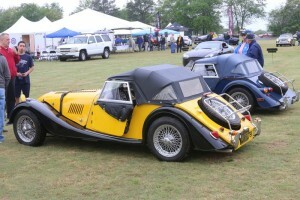 TopsOnline also manufactures OEM-quality seat covers for many British car makes. 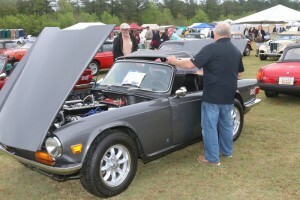 This was TopsOnline’s second year sponsoring the show and we love being able to support an event for car enthusiasts and collectors wanting to celebrate the many models and makes of British cars. 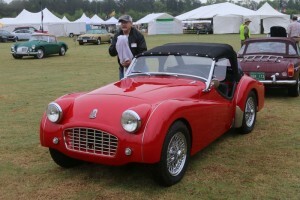 What’s your favorite British model car? 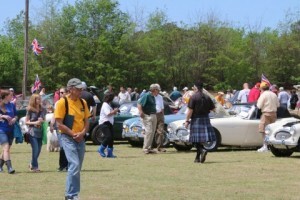 More than 10,000 visitors attended the show and proceeds from the event and sponsorship also went to support the Pawmetto Lifeline, a “no kill” pet rescue service in the Midlands area of central South Carolina. 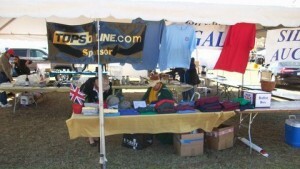 We would love to see you at the show next year if you live in that area of the world. Which shows do you participate in or attend in your area? Nothing beats enjoying a bunch of shined up cars on a beautiful day...except maybe riding with your top down and soaking up the sunshine. 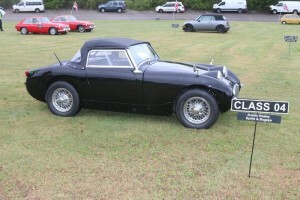 If you have a vintage or new British car that needs new convertible top, tonneau cover or seat covers, TopsOnline would be happy to help you select the replacement parts that you need. Reach out and let us know!